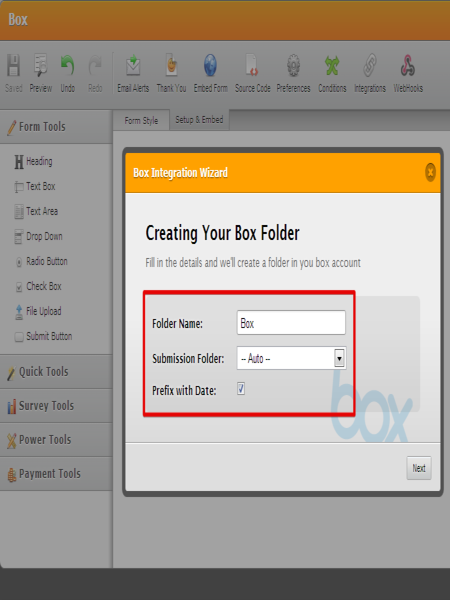 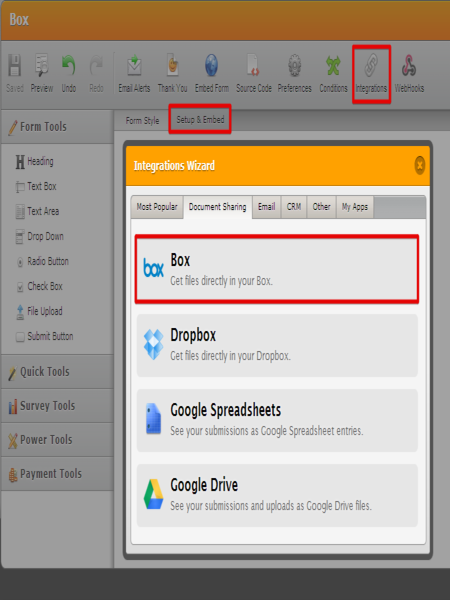 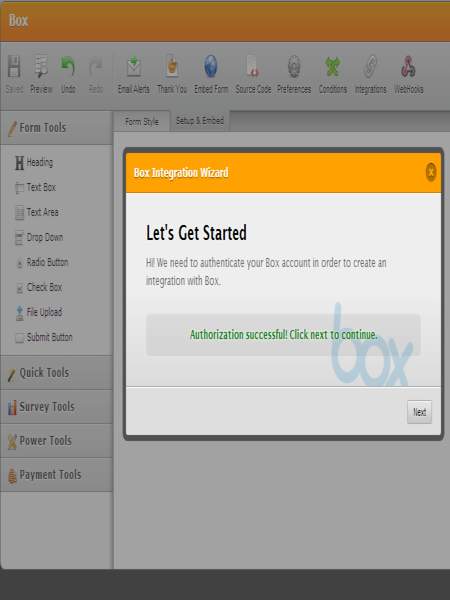 Once you connect your forms with Box, you will receive your form submission data and uploaded files on a folder you choose. 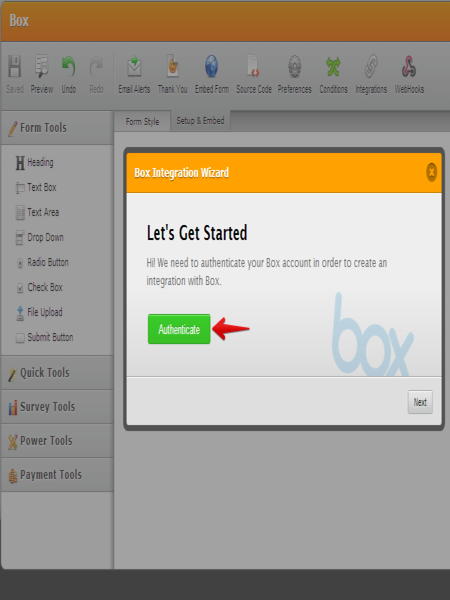 Quick, easy, and simple. 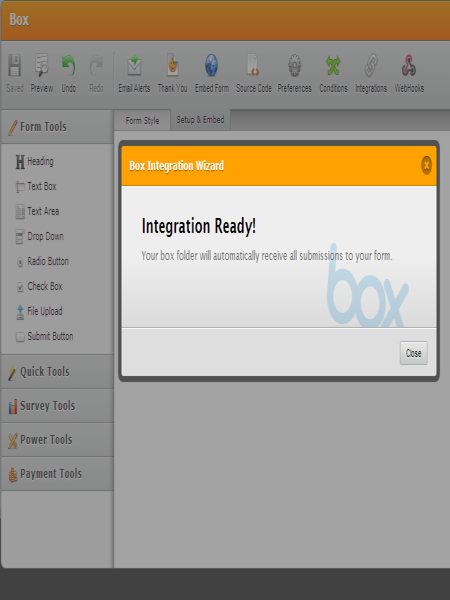 It look like you have to select a form then add the app from the plugins menu.